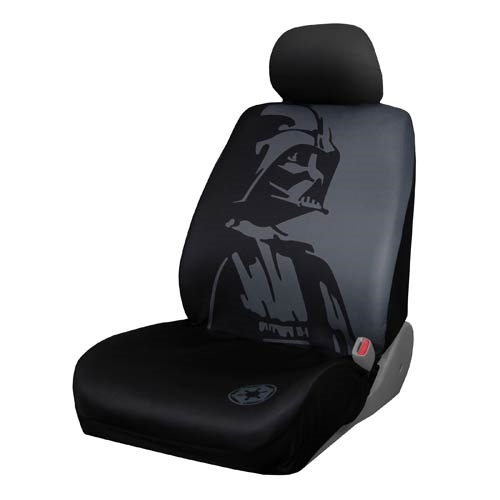 The Force is strong with this Star Wars Darth Vader Low Back Seat Cover for your car or truck! Made from 100% polyester with a urethane foam backing, it's designed to fit most low-backed (removable headrest) bucket seats and comes with a headrest cover, plus elastic straps and hooks for a snug and secure fit. Machine washable. For ages 16 and up.